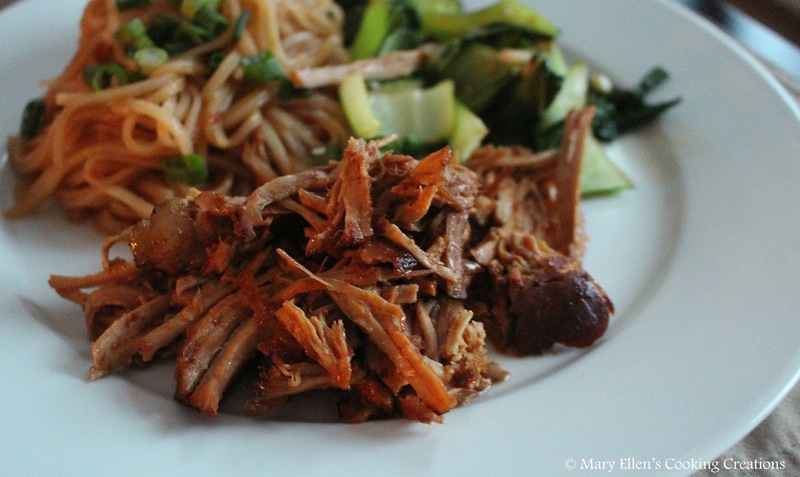 Over the past few months, when I have been stuck for an idea for dinner and need something easy and mostly hands-off, I have been turning to pulled pork. 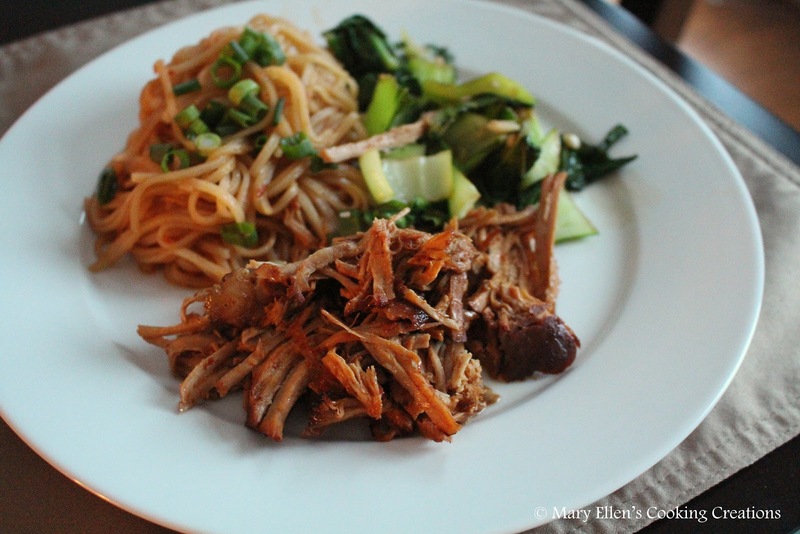 I have a few recipes I like to use, including Guinness Pulled Pork, Asian Pulled Pork and Pork Carnitas. A big plus is that these recipes make enough that you'll have leftovers for the next day. 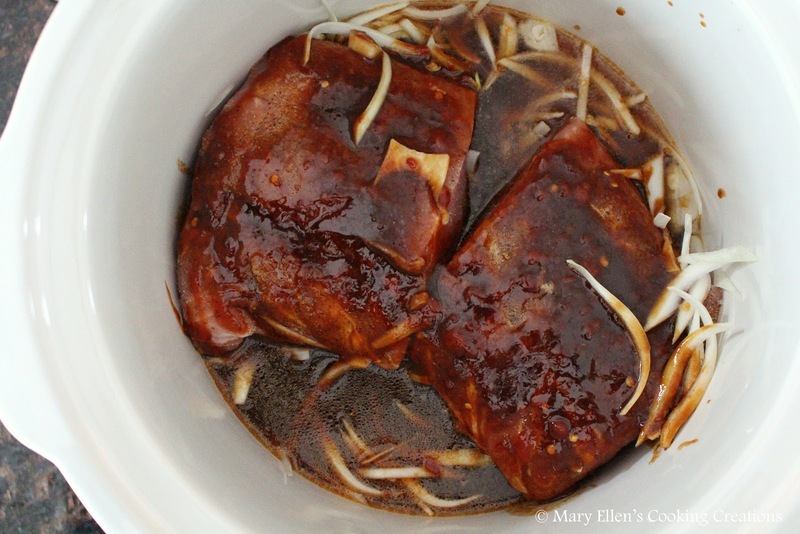 Last week I was browsing through recipes online and came across one for a Chinese BBQ Pulled Pork, or Char Siu. After reading through the recipe I knew what changes I would make based on our preferences, and had an idea as to how it would taste. I also knew I would serve it with noodles and sauteed bok choy for a really simple weeknight meal that would definitely give us leftovers. This smelled so good while cooking - I could not wait to eat. The pork was so tender and juicy, sweet, salty and spicy - a perfect combination. 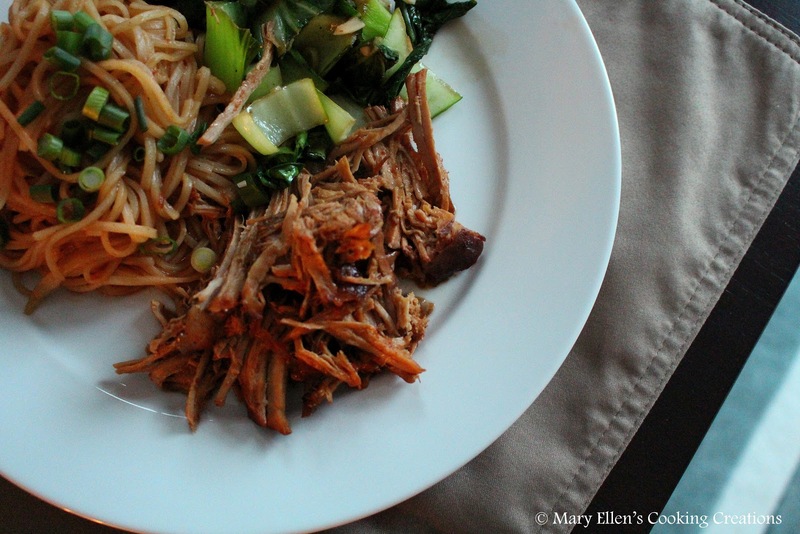 The only problem with making this recipe is I now have another pulled pork recipe to turn to, and when I love them all as much as I do, deciding which one to make is hard! I guess that's a good problem to have. Place the pork loin on top of the onions and pout the sauce mixture over the pork. Cover and cook until it falls apart with 2 forks, approximately 5 hours on high or 8 on low. Shred with 2 forks and keep on low for another 30 minutes, max, or warm until ready to serve. YUM, I will try this for sure. These would make for some good Chinese style tacos too - maybe for leftovers - inspired by the way peking duck is often served with flat little pancakes. Specifically thinking of Momofuku in NY! Add some purple cabbage, spring onions, julienned carrots, and call it a day! Stacy - that sounds like a fabulous idea! What a great way to repurpose leftovers. 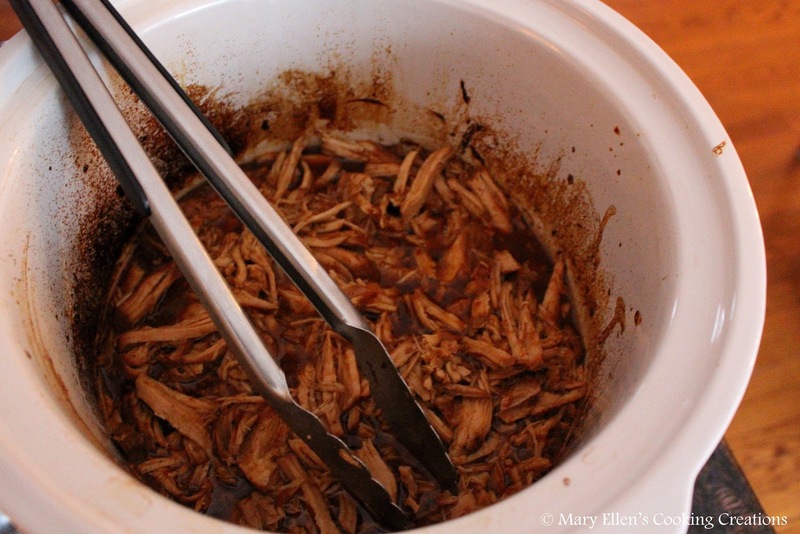 I love making pulled pork, as well! I can't wait to try this recipe out!